The talks are conducted on international level but public opinion plays an important role in the way the country should act in order not to aggravate the internal situation and, more importantly, to lead the peace process. The majority of key issues discussed in Minsk demand a compromise. Sometimes the need for it is provoked artificially as for example in the case of weapons withdrawal in a particular area where opponents’ positions are situated too close to each other, which leads to constant exchange of fire. The further Donbas status and its reintegration is another important compromise. The Kalmius Group research has shown that public opinion is quite flexible when this issue is discussed. Ukrainian society has not formed a unified opinion concerning this process yet. On the one hand, almost a half of the population is ready to accept an autonomous status of the uncontrolled territories (control of the border, legal elections, forming legitimate power bodies), on the other hand, the majority of population is ready to accept limitation of the authority of these regions during the transition period (73% - for, 24% - against). The research has shown that people’s support depends on different conditions. For example, conducting elections before full control over the border with Russia is restored is considered an unacceptable compromise, however, it we seem more acceptable if elections are conducted in accordance with Ukrainian legislation and the territories gain an autonomous status within the territory of Ukraine. Donbas elections are a very sensitive issue, states the Kalmius Group. 59% of Ukrainian population think that this compromise is unacceptable: 39% - unacceptable in any case, 20% - rather unacceptable, whereas 37% of the population think that this concession is possible. The majority of the population in the west, in the centre and in the south of the country state that the compromise is unacceptable (66%, 64% и 54% respectively), though in the centre and in the Donbas there are two practically equal groups of those who could agree to hold elections before the control over the border is restored and those who are against this idea. Thus, 48% of the population in the east of Ukraine consider this compromise unacceptable and 46% of the population consider it acceptable. In the Donbas the numbers are - 47% and 46% respectively. The further respondents are from the conflict zone the greater their opinion about the ways of solving the conflict differs. For example, the military campaign conducted by the Ukrainian Army is considered decisive in the western and central macroregions 44% of respondents in both regions, in the south – 38%, in the east – 30%, on the controlled Donbas territory – 23%. On average, the idea of the efficiency of an offensive slightly dominates (39%), whereas 32% think that an offensive will deteriorate the present situation and another 17% think that it will not influence anything. The idea of obtaining lethal weapons from the West and the USA is supported by 49,7% of Ukrainian respondents and is not supported by 32,7% and 13% of respondents think that this will not influence the situation in any way. A remarkable fact is that the way the efficiency of lethal weapons is treated also depends on respondents’ geographic location: the further from the front line the more supported it is (western and central regions of Ukraine). Two positions (efficiency and harm) have got practically equal number of supporters however more than a half of the Donbas population think that this will deteriorate the situation (54%) while the minority think that this step will be efficient (29%). The majority of respondents who live far from the demarcation line think that hostilities will increase in 2018 which will lead to the end of the conflict (19%). The majority of the Ukrainians in general think that politicians will concentrate on talks (75%). Almost half of respondents think that forcing Russia to establish peace with the help of international sanctions and other kinds of pressure will be an efficient instrument. At the same time, 31% of respondents think that sanctions and pressure do not influence Russia in terms of finishing the conflict. Certain regional differences influence the way the efficiency of these tools is treated. Residents of all the macroregions of the country with the exception of the controlled Donbas territory are sure that sanctions are efficient. Donbas residents’ positions are almost equally distributed between those who think that pressure and sanctions will not influence the end of the conflict in any way (40%) and those who think these tools are efficient (37%). The idea if increasing the sanctions against Russia by the EU and the USA is also greatly supported by the public: 55% of the population of Ukraine think that this policy is efficient, 29% - do not believe that this will play any significant role, 13% expect that this will only deteriorate the situation. The relative majority of residents of the Donbas unlike representatives of other regions (43%) do not believe that this will influence the situation in any way whereas 34% are sure that this will be efficient. The idea of possible enlargement of the international peace talks team by possible involvement of the EU, the USA and different international organizations but without involving the “LPR” and “DPR” representatives is considered efficient by 59% who think that this will be efficient for solving the Donbas conflict. This position is positively assessed in all the microregions of Ukraine from 68% in the west to 47% in the Donbas. 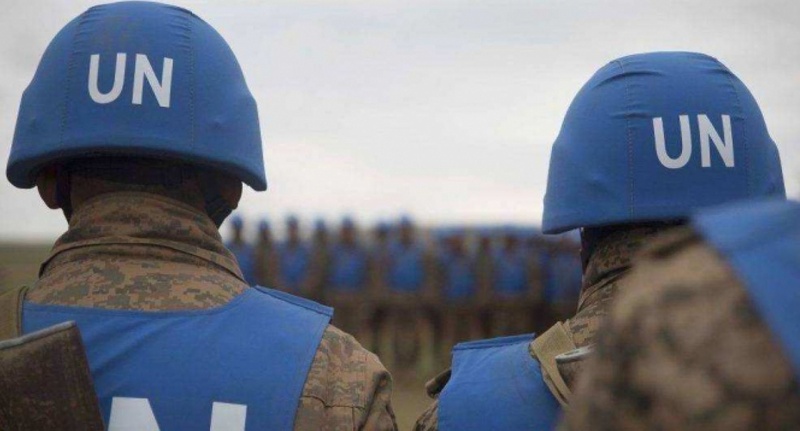 The question of deployment of a UN peacekeeping mission is actively raised today in connection with establishing temporary international administration in the Donbas. More than half or Ukrainian respondents (60%) support this idea, 13% treat it negatively, 20% of respondents think that it will not influence the development of the situation in any way. However, currently it is difficult to say what the Ukrainians understand under the notion of a transitional administration. This is why the authorities should do their best not only to search for the ultimate formats of involving the international community but also to inform the public about different aspects of this or that model of a peaceful solution of the conflict. 47% of the Donbas population supported the idea that temporary administrations and peacekeepers will be an efficient mechanism for finishing the conflict. However, Donbas residents are less optimistic compared to residents of other macroregions of the country. For example, respondents from its central part think that peacekeepers and temporary administration will be highly efficient (67%). Residents of the west of the country think practically the same (64%). The south and east of the country are less optimistic (51% in each part). The Kalmius Group analysts think that these differences can be conditioned by the geographic proximity of different macroregions to the conflict zone. People who know more about what is happening on the front count more on themselves or on political will of the Ukrainian and Russian authorities. The external factor occupied the last place in this case. The authors of the research stress that the peacekeeping mission’s mandate should be much wider that the guarding functions of the OSCE. They explain this by the fact that restricted format of a peacekeeping mission will entail its factual dependance on the “LPR” and “DPR” groupings. The scenario of involving the international community with the UN mandate can be the least optimistic. In this case the peacekeepers will not only have to resist violence and armed destabilisation but they will also have to prevent armed support of the groupings.